What might I have been doing now? CHOICES. It seems I have been so fortunate in life to have had many a CHOICE. Early on, while on holiday from school or, later, university, I was a bus conductor on Southampton transit. By far the majority of that life consisted of hanging out the back platform waiting for the next stop and asking people for their fares, whereupon, I would strike a lever on my ticket machine and give them a ticket equivalent to taking them a certain number of stops, or fare stages, as they were termed. As most of our buses were double deckers, I was kept busy running up and down the stairs, trying to get all the peoples fares up top before the cheaters down below could get off without paying. It was certainly a job I enjoyed, even though it was all split shift work, sometimes starting really early to catch those going to work, then a rest for six or seven hours, during which I could enjoy a pick-up game of cricket with a few friends, then going back to ensure that all the workers get home safely by bus. In the three summers I did this, I had the same driver for two of them, a wonderful man who had been a driver for many years, but whose surname I have unfortunately forgotten. Jim and I bonded, even though he could have been my grandfather while I was sixteen. A gentle man who drove a double-decker as if he was driving a limousine for the queen. Quite the opposite in the third year was Harry Martin: he was middle aged, but thought he was still a teenager driving in the Monte Carlo rally. When I was ‘up top’ and he was driving around bends in the road, I soon had to learn the best skills of balance without catching hold of anything other than leaning against the back of a seat, my ticket machine and leather purse into which I dropped the pennies and threepences and sixpences and shillings and florins and half crowns or a paper note and having to withdraw the correct amount of change and striking off the ticket for the customer. At the end of the route, with Jim, we’d lounge around the engine or in the bus regaling each other with thoughts of the day, or how the Saints (Sothampton’s football team) were faring, or what life was like in his days compared to my days: it was different with Harry, he would immediately light up his cheap Woodbines, which he rolled himself, and offer little conversation. Except that when he first met me, he was, “Oh, ! ***!, a kid!” Well, our relationship never got anywhere near that of Jim and me, but he did mellow when he realised that I was fast with taking the fares – apparently in previous experiences with ‘kids’, the kids were slow, so this meant that he would have to wait sometimes at stops while some of the passengers’ fares were collected as they got off the bus. That meant he was late or never early at the end of the route, so did not have time for a Woodbine. That never, but never, happened with speedy me, so he did mellow quite a bit and, as I recall, he didn’t swear or blaspheme at me ever again, though he did at car drivers who cut in in front of the bus! The next CHOICE was to stay at university studying Music, English and German, but where I was also notably enjoying myself learning to fly and, simultaneously, get paid for it in the university Air Squadron – similar to the University Officers’ Training Plan (or UOTP or ROTP) in North America – OR the other CHOICE, join the regular Royal Air Force. You know which choice won out! 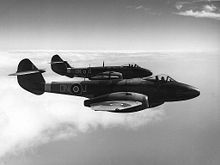 The RAF sent me to Canada, where my flying skills were honed on piston-engined and jet aircraft, thence returning to England and flying twin-engined Meteors with the RAF. After leaving the RAF, I had another CHOICE: I was offered a job as a test pilot, but having just married My Beloved, that was considered by me as too risky, although it had tremendous appeal. Besides, we had jointly made the CHOICE to emigrate to Canada. the lens was in accord with the prescription using a focimeter, a device to measure the power and axis or axes of an optical lens, then shape them by grinding them on a wheel until they fitted the frame the customer had chosen. I would then ensure by heating and bending the sides that they were a comfortable fit, a trick I have used many times since to adjust friends’ frames. I also learned to make sure the tiny screws did not come out by filling the holes with acetone (nail varnish if you don’t have the real stuff). We made our own acetone by melting down old frames. No, not metal ones! I enjoyed being a technician and enjoyed the staff of Husband’s, except for the pompous optician who was the manager. The other two opticians were very nice and one would sometimes take me at the end of the day in her little Morris Minor and drop me off at my home. The sales girls were delightful: I well remember one, Shirley, a pretty dyed yellowish blond, frequently singing the popular song of the moment, Love and Marriage (go together like a horse and carriage), for she was going to be married soon after My Beloved and I had left for Canada. I remember leaving her a wedding present before we left. Join the RCAF – they would have snapped me up as I had been ‘top gun’ in my course. Join Max Ward’s bush pilots up in Edmonton and the North. Later he formed Wardair and I could have been a pilot for it. Look for work in Moose Jaw. My Beloved found a position immediately in the local hospital, where, knowing she had been trained in England, a doctor snapped her up as a lab tech. …….after Earl Barnholden, news chief, fired me after just six weeks of newscasting for running the 1976 Hungarian revolution as my lead – to me that was important but Earl considered what the Women’s Auxiliary down the street were doing as most important – Syd called me in to his office and said, “I know you and Earl have had your differences, but I want you still; I would like you to become a producer.” Another CHOICE. Well, the only ‘producer’ I had come across during my six weeks was a fellow named Lawton or Lawson, who used to come in at the end of the day and say he had produced three more ads, or however many he had produced that day. He meant he had been out selling ads to the local businesses. I had no intention of becoming an ad salesman, so I turned Syd down. Had I known then what I discovered later that Syd had meant me to produce programs, I might well have taken the job. How a different CHOICE there might have changed our lives! Instead, I accepted a CHOICE offered by fellow church and choir member, Trev Seaborn, who ran one of the largest insurance agencies in the province. That certainly set me on the track towards being a general insurance (not life or health) agent in Moose Jaw. ……….as a liability and surety underwriter, I was privileged to analyse the books of construction companies. One, BACM Industries, was on the cusp of becoming a very large international multi-faceted manufacturing and construction company. Although this provided me with good training in the general insurance world, I was tempted to improve my lot, so left my job as underwriter with the General Agency, Osler, Hammond and Nanton, and the CHOICE was to join Prudential of England as an inspector. Oh, boy! Just one week after joining the Pru, the Treasurer of BACM entered my office, shut the door and said, “I don’t know what you came to Prudential for in the way of remuneration, but we will double the salary and throw in a good car of your choice. Will you accept?” Yet one more CHOICE. My Beloved and I chose a smashingly beautiful 1961 Pontiac Parisienne Hardtop – cream outside, scarlet leather inside. A great CHOICE and still one of, if not the, best CHOICE of cars we have made. Five kids later (our mutual CHOICE), BACM was bought by a company of the Belgian Royal family, became Genstar, and we were moved to Montreal. The CHOICE had been stay in Winnipeg and find a new job or move and gain more experience in Montreal. Another CHOICE came when, in 1976 in the midst of separatism in Québec, Genstar moved its Head office to Vancouver and its Executive Office to San Francisco. I would have been moved to SF, but another CHOICE was made for me: I did not get along with the unimaginative Secretary of the company, a self-important, pharisaical fellow Brit, so we came to a mutual parting of the ways. Otherwise known as being fired. For the second time. This time, no Syd or Trevor to offer a new position or career. A broker, whom I thought did not like me (brokers naturally detest consultants and that’s really what a risk manager is) turned out to be a fine friend and found me a position with another brokerage firm which had a risk management department. This is considered a conflict of interest, for the risk management consultant is trying to reduce the amount of insurance a client has and offer better strategies. But, after a couple of years working for this company as a consultant Risk Manager, a family conference provided another CHOICE: Stay with the brokerage company OR My Beloved and I could open our own risk management consulting, totally independent, Melanber Inc. The latter, a CHOICE we have never regretted, only enjoyed. That was 1978, forty-one years ago. Wow! We never regretted also to leave in 1986 our major banking clients in Montreal and Toronto and move to the Maritimes where we already had more varied clients. So, Halifax, Nova Scotia, was the CHOICE. Over the past decades, was our CHOICE to retire? No. Not totally. And we still have one active client which seems to want to keep us. Also church and volunteer work with adult literacy and a not-for-profit Community Enterprise organisation have also been our CHOICE. We are constantly busy. Sometimes with appointments with hairdressers, chiropractors, doctors, dentists and surgeons. Oh, yes, they keep us busy, too. Throughout all these choices, I know that we have been led by Our Lord God. Praise Him! And He provides food for us all, including those stuffed lamb hearts My Beloved was braising and I have been smelling for a long time and which are ready right now, so I will bid you adieu until next Post. Christmas – do you remember your first Christmas? But you certainly remember an early-life Christmas. Think back: carols were being played in elevators and in stores; store windows were replete with twinkling lights; mannequins were dressed in red and green; in one window, there was a little model train running around; you asked your mum or dad for a dollar bill to put in the kettle swinging on a tripod outside the store door; you stood in the cold (in Canada) watching a parade of decorated cars and majorettes twirling batons, all the while waiting excitedly for Santa to arrive in a sleigh pulled by horses; you couldn’t wait for Christmas Day to arrive when you knew Santa will have left presents under the tree. Oh, yes, but before that, the whole family drove out to a Christmas tree farm and much discussion – and sometimes sibling argument – ensued concerning the merits of this tree versus that tree. Jenny preferred this tree, as it was definitely bigger than Shar’s tree, which was very symmetrical, whereas Darryl’s looked like a Charlie Brown tree and Tanis was shouting for us to come and look at her tree. Tara sat in the stroller wondering what all the commotion was. The great day was still so far away, it was impossible to wait for such a long time. Kindergarten stopped, so that meant you didn’t have to go to Kindergarten and that meant Santa would slink in one night, just a couple of days and nights away. Christmas Eve came and off to church to sing carols and thank Jesus for coming at last – golly, it was a long wait, but now it was His birthday and then……. ………. mum and dad took us all home and said, it’s time to go to bed. You had to get to sleep early or Santa wouldn’t come. That was a real threat. But first and last, set a glass of milk , an orange and and some little snack beside the Christmas tree for Santa needed refreshment with all his travelling. Then bed. Early in the morning when it was still dark, you snuck your hand out from under the sheets and felt around above your head. YES!!!! The empty stocking felt full!!! Oh, what joy! Although it was dark and maybe getting light, it was allowable to dig into the stocking and find out what Santa had left. All sorts of little things and always some chocolate or other sweet and the very last thing in the toe was an orange. Every year, an orange: why did Santa eat the orange left for him, yet gave one back in the stocking. Weird. As dawn changed to day, you charged into mum and dad’s bedroom and woke them up, imploring them to hurry up so we could all go to the Christmas tree, under which would be a great big pile of presents. But they took their time. Much time. Opening presents was such fun, but some Christmases after everyone had opened presents labelled to them, there was no BIG present – until you were told to go and look in the garage (the attached one, not the free-standing one). There might be a new toboggan or a new tricycle, hastily and very arduously put together with some sound effects of nasty words by a dad, who was losing his temper over discovering the wheel should have been put on before the brakes; but you didn’t know that. By now, there was Christmas wrapping paper all over the place and while mum made the absolutely mandatory eggs Benedict, you had to clean the place up. The next few hours were occupied by playing with new toys, urging dad to accompany you to the ice rink across the street with your new skates, playing the new board game with dad – mum was busy preparing the Christmas dinner, which was always very sumptuous comprising at least three courses, starting maybe, if you were lucky, with escargots, then goose – never turkey – with roast parsnips and potatoes, peas , broccoli and luscious gravy and, of course, don’t forget those Christmas crackers pulled with a bang, supposedly containing a paper hat, a joke and a little toy. Supposedly, because you might have felt cheated as one of the items was missing – not really, it had just got lost under the table when the cracker was pulled. Then there was dessert, customarily Christmas plum pudding with custard or ice cream. Somewhere after dessert there could have been some Christmas cake or chocolates. Somewhere, also, after all of the excitement of Christmas Day, including watching a TV show, you started to feel a little sleepy, but trying hard not to let mum or dad see your eyes closing and suddenly popping wide open. Nevertheless, bed beckoned and even though you protested you were not tired, it was off to say prayers and sleep. The sleep of the innocent child. Christmases haven’t changed much in our house or in our children’s houses, except the whole family cannot get together these days and share the excitement and joy of Christmas. For even as an adult, I still feel the essence of the Christmas season, only wishing they didn’t start filling the stores with Christmas items even before Halloween and playing Christmas carols in the stores as soon as Halloween is over. While there were always Christmas cards strung over the fireplace or propped up on the piano, as I write this, there is one lonely one hung on a string on a beam. Nowadays, particularly with a postal strike which meant thousands of parcels and letters and cards were held up and no-one knew when the strike would end – the Government legislated a temporary end to it – fewer and fewer people are sending cards. We haven’t sent any this year. I’m thinking of sending a message some time before Easter, just to say, I’m not dead, I’m alive and well. For My Beloved and me, Christmas is still a religious Holy Day, not a holiday. We are still in the church choir, so we sing at a service on Christmas Eve. We rejoice that Christ Jesus was born to save us all from our sins. Christmas Day, though, remains the same as I have recalled above, this year being celebrated by our eldest daughter and her husband coming from Montreal to join us. She’s the one who’s talking retirement in three years – the one who did not need dad all those years ago to accompany her as she waddled across the street to the rink with her very first pair of skates on and took to the ice by herself as if born to it. We will have our stockings, though not by the bed as of old, but down by the fireplace. And we will have presents under the tree – but not, definitely not, a big pile of them – and we’ll open them while drinking eggnog. With spirit in it, not virgin. And we’ll have those eggs Benedict. And we’ll have a lovely goose for dinner with roast potatoes and parsnips and peas and broccoli, but nowhere near the portions we would have eaten so many years ago. It is possible ur bellies may be super-satiated, so we may have to leave dessert for a few hours. And we’ll say grace and thank God for all the blessings of this life and how we are so fortunate to be able to celebrate Christ’s birthday in total freedom. So, Merry Christmas, Happy Holidays and a Jolly Good New Year! I have not written about a visitor and the visit before in any detail, but Rona’s visit was special. Rona is the widow of one of my great school friends, who also was good friends with My Beloved during our teen and later years. Because My Beloved and I attended the same church with our bunch of friends in the youth club and on the tennis courts, Bill would come over from his part of town and join in with our adventures. What made Bill a truly special friend was our affinity in rowing, music – both playing piano and singing – and just hanging out together as one would say today. Or playing pranks at school, for which we were infamous – at least, when, if, we got found out. Unfortunately, Bill died two years ago and My Beloved and I had invited Rona here almost immediately afterwards. Rona took her time to choose when she was going to come and eventually asked if we could put up with her for three weeks toward the end of September to mid-October this year, 2018. We rejoiced that she at last was going to visit us. Now, mind you, although Bill and Rona had been married a number of years, we had met Rona with Bill only a few times: at their home a couple of times and in Spain a couple of times, where Rona played golf with us (golf was not Bill’s game). So, to be candid, this visit could have gone sideways: instead, it was one of the most memorable visits and she one of the most easy-going and wonderful visitors I can remember we have ever had. I do not wish to bore you with a travelogue of where we took Rona, so I will try to keep you away from the limit of boredom – I hope. Rona landed from an Air Canada direct flight one afternoon from London, just after lunch. The next morning we had her up at the church, where she peeled four and a half big bags of potatoes in preparation for the take-out dinner the church does once a month. It is immensely popular among our church members and the local population coming home from their work and offices. What a Trojan effort she performed, still on jet lag – or is it jet progression on East to West flights? However, she thoroughly enjoyed the companionship of the fellow preppers – and they, her. Rona and me guiding the Bluenose – wishing we were! Yes, we did the Lunenburg trip to visit the Bluenose and the Fisheries Museum. And then a quick tour of the town, while, on our way home, she took photos of the three churches in Mahone Bay. If I had a dollar for every photo taken of those churches, I would not need my Government Old Age Pension. Along with photos of Peggy’s Cove, it has to be one of the most photographed scenes in Atlantic Canada. Naturally, since Rona sings in her own church choir in England, we roped her in to our choir on Sunday, following which we went to, where else? Vernon’s Thunderbird Diner for a calorific brunch. I believe two had eggs Bennie. – or was it one had two eggs Bennie – and that would be four? No, I think my memory is again playing tricks. The afternoon proved fine enough to go straight from brunching to touring the City, Pleasant Park and the beach we showed her where some of us with low intellect did a Polar Bear swim one New Year’s Day in -5C/23F Atlantic Ocean. The majority of the bodies were unloaded at the Coal or Flagship Wharf on the Halifax waterfront and horse-drawn hearses brought the victims to the temporary morgue in the Mayflower Curling Rink. Only 59 of the bodies placed in the morgue were shipped out by train to their families. The remaining victims of the Titanic were buried in three Halifax cemeteries between May 3 and June 12. Religious services were held at St. Paul’s Church and at the Synagogue on Starr Street. Burial services were held at St. Mary’s Cathedral, Brunswick Street Methodist Church, St. George’s Church and All Saint’s Cathedral. Various individuals and businesses expressed their sympathy by donating flowers and wreaths. The coffins of the unidentified victims were adorned with bouquets of lilies. The Unknown Child is now Known through DNA testing. families, friends or other groups chose to commission a larger and more elaborate gravestone. [seen in background in picture on right above – Nuntius] All of these more personalized graves, including the striking Celtic cross and the beautiful monument to the “Unknown Child”, are located at Fairview Lawn Cemetery. That was Sunday. The morrow, Monday, we were to start on a lightning tour of the very interesting Cape Breton and and our neighbouring province of Prince Edward Island. Now this is where we must thank Rona for coming and making this a most interesting part of her visit: the last time we were there was when we took our five now 50-year old kids (pardon, one is still only 49) around Cape Breton and to the part of PEI Rona most particularly wanted to visit, as teenagers. And things have changed a lot in those intervening years. Stop No. 1, the Alexander Graham Bell National Historic Site. Just a four-hour drive on mostly 4-lane highway. What a wonderful museum it is and how modern it has been made. A day there would not be too long. One just has either forgotten or one never knew just how many inventions Bell thought up. Oh we remembered the telephone, but what about the wheat husker he invented when he was fourteen years young; the hydrofoil boat, which got the world record speed on water; an airplane [see photo on right]; the photophone, a system of transmitting human voice wirelessly by light, 16 years before Marconi’s wireless; a metal detector he invented to try to find the bullet that assassinated President Garfield and, although he didn’t find it in time to save his life, the device was used for many years until x-rays replaced it; the replacement on Edison’s phonograph of a tinfoil cylinder by a wax-coated cardboard cylinder made such an improvement that the gramophone immediately became associated with Bell, not Edison; and, perhaps the most important of his inventions to Bell himself, as his mother and his wife were deaf, were those, from his first audiometer, allowing doctors to understand how much hearing a person has, to actual hearing devices? The word decibel was named after him by Bell Labs. Our journey continued as far as the small town of Louisburg, where we found a bed for the night, three, actually – in two rooms: I would not be inclined to spend more than one night there, as it was a very basic motel without even one of Bell’s inventions, the telephone! However, it was extremely clean and the breakfast was good and included in the price. Which wasn’t bad, either. It did not have a restaurant for other than breakfast, but we were directed to the Grubstake, where its menu revealed many a tasty soup, salad, sandwich, main course and dessert. We three all had excellent, but different, meals. The wine drizzled down our throats very well after this day of Alexander Graham and driving. The following day revealed the Fortress of Louisbourg, built by the French, taken by the English, returned to the French and finally totally demolished by the English, a great deal of its stone from its walls was sent to Boston to construct Louisbourg Square and other buildings in that city. If we were not the first to arrive at the portals of the Fortress, we were certainly three of the first to arrive Tuesday morning: the French guard, taking a good peek at these wrinklies (two, anyway) very civilly and politely asked us if we would like to park near the entrance building rather than further out in the parking lot. Well, that was a no-brainer, and we parked just a few metres from the kiosk. A fort is a military structure, often with a moat, whereas a fortress is a fort but includes houses, even a complete town. The Fortress of Louisbourg, as with the Bell museum, is a place where one could spend days, not hours, visiting all the buildings. In 1961 the Government of Canada began a $25 million project aimed at reconstructing approximately one-quarter of the original town and fortifications. Within this area the buildings, yards, gardens and streets are being recreated as they were during the 1740s, immediately preceding Louisbourg’s first siege. The work at Louisbourg has required an inter-disciplinary research effort. Archaeological excavation has yielded millions of artifacts as well as the ruins of fortifications and buildings. Faced with a huge task of reconstructing the fortress, blueprints had been brilliantly saved by the founders in three different locations, one being in archives in Paris, so it has been possible to rebuild every single building exactly as the fortress had been in its hey day. Some 750,000 pages of documents and 500 maps and plans have been copied from archives in France, England, Scotland, the United States and Canada. The historical evidence reveals much about life at Louisbourg and provides an excellent base for the study of the French in North America. My Beloved using bellows to start the fire for the soup. As you wander into the buildings, Citizens of the mid-1700s tell you, speaking as if they were actually living then, about how they are living and what they are cooking and doing today, just as if you are back there in that time. These Citizens are in every building, while others take you on tours around the fortress. In one building, My Beloved helped the Citizen start the fire for dinner using a pair of bellows, while being watched by said Citizen. The site where Guglielmo Marconi initiated the age of global communications: in December 1902, a wire antenna suspended from four giant wooden towers beamed an official wireless message across the Atlantic. Exhibits include a model of the original Table Head station, and remains of the tower foundation. Discover the scientists who pioneered today’s technology. Try your hand at Morse Code. Unfortunately, the problem we experienced was that the National web site declared it to be open until later in the month: it wasn’t and we could not get in. Oh, well, I wandered over a hundred metres to the cliff and, on seeing what I did see, I hailed my two ladies to come and see, too. And what did we see? An iceberg. The first true iceberg any of us had ever seen. I would show you a photo of it, but it was too far out to take a good photo on our phone cameras. But we did see it! It really was there! It was not a far drive from Glace Bay to Ingonish, but it was dark by the time we got there, not knowing if there were any vacancies – and if there weren’t, we would be sleeping in the car, as there were no other hotels and the odd B & B had signs No Vacancy. But the Keltic Lodge did have rooms for us. If you are ever in the north part of Cape Breton, do take the opportunity of staying at the Keltic Lodge: it is a splendid place in which to relax and ponder over what to eat at the next meal. That evening, after a very welcome and very tasty dinner, we relaxed in the Lounge with some more wine and were entertained by one guitarist/singer Fran Doyle, a Dubliner, but spending all his time now in Nova Scotia and Florida and a few places in between. He was very good and we were soon on excellent chatting terms. There were not many people in the Lounge, but at one time, Fran did make some comment to a group near the bar that they were being very rude with their noise: they did not respond, for they were making so much noise they had not heard him. It was in interludes like this that our acquaintanceship grew. And also with the odd, or rather even numbered, drink after his routine. Overnight, the rain came and came and came. So did the wind, or gale, rather. So we decided to stay over and just chill out on the Wednesday. As well we did that, as it poured all day and people on bus tours were returning disappointed at being unable to see the Cabot Trail over which they had travelled. And paid bus tours money to do so. Evening came and, of course, food in the guise of a sumptuous dinner. I believe the picture alongside truly represents the gourmand part of Yours Truly, as, along with a fair portion of one of the bottles of wine, Yours Truly had not one, but two chocolate desserts. Mmmm! I still remember those! But I had to share with two others. After dinner found the three of us back in the Lounge waiting for Fran to appear. As he walked in, he saw us, smiled, and immediately said he would come and have a drink with us. Unfortunately, he got waylaid and then started his gig. As we were leaving early next morning, we had to excuse ourselves at the end of the first set, not without him giving us hugs all around and saying we will meet again. Neither he nor us knew how soon that would be! Thursday proved sunny, so the drive around the Cape Breton Trail was beautiful. We made a couple of ‘view’ stops and one at a well-TV’d commercial place, Laura’s, known for its ice cream. No, not for us for, while I said it was sunny, I didn’t say how cold and windy it was. Then over the water by ferry to Charlottetown, Prince Edward Island (PEI). By the time we had checked in, it was time for dinner, so we went to the Merchantman Pub. They were packed, but by stealth, the ladies were able to obtain three bar seats, make friends with Paul, the manager of the bar, and eventually, as the hostess had obviously overlooked us on the wait-list, have Paul get us a great table overlooking the rest of the restaurant. I cannot remember what we had and I cannot check the bill, as Rona, as she did more often than she should have done, became our hostess. Rona had a key interest in PEI: she has always been a great fan of Lucy Maud Montgomery’s Anne of Green Gables books. Indeed, she had even brought a copy with her, which she read prior to visiting the various sites on the Island. This particular copy is inscribed inside with her mother’s name and showing it was a 1927 school prize for her prowess in Latin. Interesting! Naturally, places change, just as we – I – do, but Anne’s House is still the same. What is different is construction of a brand new Visitor Centre, which will make the visit longer, as there will be much more to view and with which to interact. As we wandered through the house, visions of going through it nigh on 40 years ago ran across my vision. Nothing different. People stop and stare and comment at the same items in the same rooms. One place Rona and I went, while My Beloved returned to the car, as she did not wish to walk far, was the Haunted Forest. I do not remember strolling through the Haunted Forest with our kids, so, perhaps, this is relatively new. It is a beautiful walk through the woods. At one point, I took a little path off the main path, only to discover that I ended up on the 12th Tee of the Golf Course. Oh, dear, some things do change, indeed. A visit to Lucy Maud Montgomery’s house proved, to me, a gyp. Rona had purchased a ‘combination’ admission ticket, which we both believed to cover not only the Anne site, but the Montgomery house, too. It did not! And, frankly, there was not much to see in the Montgomery house: it was, of course, a tourist trap with a gift shop. And an outside loo, of which I availed myself. I suppose that was authentic. It was time for lunch and I remembered North Rustico as having a great restaurant. So, there did we drive. The village was not quite as it was in my mind, but then, as I said, things change, including my memories. Nevertheless, we found a nice little building behind the big restaurant where the tour bus was parked, called On The Dock, which it was, right on the dock. No-one else was in it, so we wondered if it was open: yes, we were warmly welcomed, but told this was their last day and they were closing for the season. Indeed we were. We shared a crab cheese dip, which was delicious. Two of us then had mussels, one in white wine and garlic and the other in beer. Both were plump mussels and very tasty, but the white wine and garlic won out. The server was so pleasant and helpful and, by the time we left, she had her hands full, as many more people had come in to eat. There were two lovely stained glass windows, which formed part of a small museum containing fishing gear and a boat. All interesting. We certainly recommend this restaurant and will go back again, although, hopefully, not after another forty years! And it is closed until next year. Moving on, we paid a quick visit to Brackley Beach, where in years past we had camped and swum and had much fun on the beautiful sand. It has not changed, save for the fact that now you have to use a board walk and steps to access the beach, all in aid of protecting the dunes. Seeing the long beach was very nostalgic. Travelling back to Boutiliers Point, Rona remarked on the 13-kilometre bridge which connects PEI with New Brunswick, the mainland. It is now twenty-one years old, but it still is a fine engineering example resting on 65 piers from shore to shore with 35 metres of water at the deepest point and 60 metres above sea level at its highest point, allowing large vessels to pass underneath. So the piers, or columns, on which it rests are 95 metres (312 feet) from seabed to underside of deck. The span between the each of the main forty-four is 250 metres (820 feet) apart. That’s a large span for concrete. Naturally, no visit to our part of the world, indeed, our part of Canada, is complete without a visit, just 40 minutes from home, to, namely, Peggy’s Cove with its famous lighthouse. So, to round up Rona’s visit, we went on a fine day, but one following some rough weather, so the breakers on the rocks were splashing well. At this time of the year, there is no piper nor ice cream store, and one has to have some extra layer of clothing, but the magnificence of the site is awe-inspiring by itself. I have been there on hot summers’ days, on cold wintry days, on gale-force windy days with rain bucketing down, and I have been there on snowy days. Never have I been anything but impressed with the force and with the beauty of nature. Peggy’s Cove is a place where one can stand and feel the wonder of Our Creator and say, thank you, Lord, for all the blessings of this world. Rona’s last night and, as is our wont on last nights with our guests, we took her out for dinner. In this case, it was to the Trellis, a nice little restaurant twenty minutes along the Bay road. However, as was her wont, she insisted on paying, which went right against our tradition. The food and service was, as usual there, very good, but what made the evening extra special was that My Beloved had seen in the local paper that the entertainment for the evening was – you guessed it – none other than Fran Doyle, our friend from Keltic Lodge. When he entered the restaurant to set up his equipment, his first glance at Rona and then My Beloved and me, was one of simple astonishment. He couldn’t believe his eyes and, as the evening progressed, he made several references to our meeting in Cape Breton.. As he then said, we will meet again, but little did he know how soon. My Beloved and I have found the three weeks with Rona so delightful. We cannot thank her enough for taking us back into the past and re-living it again. Not only that, but she was one palmary guest. I like to think of myself as a Foodie -sometimes a gourmet and sometimes a gourmand, but always a Foodie. But recently I came across an article in the Oxford English Dictionaries Word of the Day mentioning crossushi, raw water and mouth cooking and I wondered what they were. Crossushi, it turns out, is manufactured by a bakery in New York and is a cross between a croissant and sushi as we know and love it: a sesame-seed-topped croissant with smoked salmon, wasabi, and nori seaweed. Well, I could certainly handle that as a Foodie. Raw Water is something quite different: it is unsterilised water taken by those who do not believe there should be chlorine, fluoride and other chemicals in drinking water. Well, I drink that all the time, since we obtain our water from a 200-ft/65-metre well in our property. The only chemical of distinction in our water is arsenic. True. But I have been drinking it for well over thirty years now and I still have quite a head of hair. But others, apparently, simply get their water from streams and open water. Nah, that’s not for me. Now we get to Mouth Cooking. Oh, my, after I discovered what that was, again, courtesy of OED, “A viral YouTube video called ‘Cooking With Your Mouth’ features a chef preparing a Christmas turkey stuffing entirely with her mouth – from dicing onions by chewing a big bite to zesting lemon by scraping the rind against her teeth to mixing a raw egg by swishing it around her gums” I decided that was distinctly, definitely outside the realm of this Foodie. Yes, I have often shared a fork, say an escargot from My Beloved’s dish, or a spoon, say a small piece of my grandson’s chocolate torte, but chewed food out of another’s mouth? Not for me. Interestingly, Jennifer Beard wrote a book of recipes based on Shakespeare’s works and one was Shrewsbury Cakes taken from that Twelfth Night quote above https://anaspiringhomemaker.wordpress.com/2014/05/28/shrewsbury-cakes-an-elizabethan-cookbook/. I cannot end, of course, without recognising that we have had two of our daughters here over the past two months, both providing a huge help in the weeding and planting of flowers. One grandson has also been here helping with some of the heavier chores, such as chopping and stacking wood. They all will be gone towards the end of next week, but shortly after in August, another daughter and her two daughters will be arriving from California. It is possible, hopefully, that a fourth daughter will be arriving by herself (children all grown up and husband cannot get away from work) for a week or two just before the other daughter and granddaughters leave. Too bad our son will not be able to make a trip here from Victoria, BC, but, in September a dear friend from England arrives for three weeks. And, obviously, we will have more adventures for Foodies over the next two or three months. lobster and My Beloved’s fresh-out-of-the-oven bread. Oh, that makes me, with good wine to slosh it all down, like the printers, an all-in-one gourmet, gourmand and Foodie. And if you know our family, you always leave a last slice of new bread to the very end, when it is smothered in butter and Marmite. Oh, yummmmmmy! and spices which I in my curries can savour. much more than I came for – and that’s a true fact. to get to the car I can barely do shuffles. the neighbours for far sure can all hear my wails. fill up my tummy and I’ll never be moody. Every year it seems, My Beloved and I host family or friends guests from about the third week of June, for all of July, most of August, and well into September. And we enjoy every day of that time! And, more to the point, THEY enjoy every moment of every day! So, what does food have to do with our guests? Others, like N and J from Palm Springs, California, like cereal. (Note to self: make sure the Best Before date is more recent than two years ago.) And/or fruit. Some, like T and S from Cleveland, bring a trailer and prefer to have breakfast in their abode before emerging for the rest of the day with us. followed by lots of fun at the Parish barbecue. trying to stuff a complete hamburger in his mouth. Some breakfast! But his teenage appetite is something else! Lunches are very variable. Some like almonds, yogourt and fruit. We tend to eat those items for lunch, so apples, grapes, bananas, pears or plums are always in the larder or either the kitchen or downstairs fridge. Or there’s always White Sails down Peggy’s Cove road for mountainous Montreal smoked meat sandwiches on rye with sauerkraut and French fries with poutine on the side. Some lunch! There are some whose digestive system will take any punishment and they need new (preferably) bread, lots of butter, loads of salami or ham slices and mustard and pickles. I must admit that I have been known at least once in the past decade to have a new bread thickly-spread peanut butter and tomato or banana sandwich. And there has to be a good layer of butter under the peanut butter. Well, maybe more than one in a decade. And there is an alternative, such as today’s lunch of lovely crunchy bread, butter, but because the kitchen was quite cool today, it was impossible to spread the butter thinly – sort of sliced butter – and a reasonable slice of Velveeta. Yes, I have always loved Velveeta, so what, you critics! New bread with cold butter that won’t spread, so it has to go on rather thickly, and Marmite is a delight My Beloved, some of our five kids and I relish. Marmite? Ah, go to the British section of the supermarket. Or World Market in Palm Springs. Yes, it’s a British thing, I’m told, and if you have not been brought up with Marmite, you may not, at a mature age as is Robb, like it. But give it a try – Robb does time and time again: new bread, thickly spread butter and Marmite very lightly spread – you don’t need much. You can also use it in gravies. I think it could be used as a spy test: if you don’t like Marmite, you must be a Russian spy. Then there are the dinner choices for our guests. Some may have allergies, such as shellfish like K, or Garlic – yes garlic – like J, or onions like D. And there are those like R who are steak people. Or roast beef like Tanis – oh, but wait a minute, she likes Greek and sushi, too. Take them to a restaurant and see what they order. Do they select the escargots or a chowder? Do they choose salmon or lamb chops? And do they eat desserts? It’s a way of finding out our friends’ preferences. My Beloved and I rarely eat desserts – virtually never at home – and, if we do choose one at a restaurant, we are likely to share a chocolate mousse. But watch C, he will have the most luscious strawberry Charlotte Russe the house can offer – not this house though, it takes too long to prepare. However, if I can find plantains, I will flambé them for guests. Let them get black as the ace of spades, the plantains, not the guests – some people see them on the top of our fridge and think they are rotting bananas. The blacker they are, the better. Carefully run a sharp-pointed knife down the inside curve of the plantain, trying to penetrate only the skin, not the fruit itself, and the skin will peel off. Slice them into 1cm disks. Heat a cast iron fry pan and when medium hot, add a good chunk of butter and some brown sugar. When the butter and sugar have melted, add the plantain disks. Sauté until they are nicely browned, then flip them and do the other side. Just when they are ready to serve, pour in a good splash of brandy or Grand Marnier or liqueur of your choice, remove the pan well away from the stove keeping your head well away, too, and ignite the spirit with a long match. Your guests will be amazed at the result! Serve and pour the pan juices over the plantains. That appears as if I do the cooking: no way, My Beloved is the best cook in the world and she it is at the heart of our home-made gastronomic experiences. But we work well together at helping our guests. Some guests, of course, are omnivores. They are very easy to please. They’ll eat anything and everything. Which brings up the fact that, while all our guests may prefer a certain food or type of food, they are all wonderful people and all are accommodating, willing, allergies aside, to eat, or at least try, what we put in front of them. If you come and stay with us, you have been warned: your choice at a restaurant doesn’t necessarily mean that’s what you will get at Chez Nous. But we will get to know you by your food choices and you will get love and food prepared lovingly. After railing about grammar in my last post, you might wonder whether it should be Mother’s Day or Mothers’ Day. Or maybe you don’t wonder about it. To be candidly truthful, I wasn’t sure myself. So, not relishing a logomachy, I wondered, even if you don’t, if I could discover what other logophiles had to say about the apostrophe in question. I discovered that Mother’s Day originated in the United States of America in 1908, when Anna Reeves Jarvis held a memorial for her mother at St Andrew’s Methodist Church in Grafton, West Virginia. In 1908, the US Congress failed to pass a law making the second Sunday in May Mother’s Day. In 1912, Anna Jarvis trademarked Second Sunday in May and Mother’s Day and, after several states made the second Sunday in May a Mother’s Day holiday, in 1914 Woodrow Wilson had Mother’s Day made a national holiday. So, Mother’s Day it is. I wish I had been more appreciative of my mother’s muliebrity. I was too young to appreciate what sacrifices she made during the war-time rationing, although I did know that she did give up eating something she knew I would like or of which there was not enough for two people. She was loving, always there for me when I had a fall, or I’d driven an axe into my leg, or, as happened once, an evacuee from London picked up a 2 x 4 and hit me over the head with it, causing the centre of my scalp to stream blood until I had cycled a mile home. Fortunately, no severe damage was done except that it rattled what brain I had around in my head. Not being able to think well caused me to have five kids – at least, that’s my story. My Mum (or Mummy, but always with a capital M, for she was special) was always there to help others, taking in friends for a weekend or a week or so in our rented house which Dad had found for us well away from the city, to give them some relief from the blitz going on in Southampton, our (and their) home town. And could she sing! She had a wonderful soprano voice, which, had it been trained, could have taken her onto the concert stage. As it was, she sang beautifully, whether it was at one of our many parties (strictly tea-total, mind you) in our house or in a neighbour’s house in Southampton before and after the war, or at church. People loved to hear her sing accompanied by my Dad, who was a brilliant pianist and likewise could have taken up a concert career instead of teaching. Mum had a great, if somewhat quirky, or even a slight shade of blue, sense of humour (the blue never being exposed when Dad was around) and I well remember walking along one of our country roads when a convoy of American army trucks passed us and the wolf-whistles the troops made at her made her laugh and laugh. I felt very proud of my Mum. It was only in later life after the war that middle age took its usual toll on shapeliness, as it does to many of us. Photos of Mummy before the war at a beach with Dad and me show a good figure. Oh, is that being chauvinistic? …..what did I do for the mother in this house, My Beloved, who had raised five children? No, I did not provide breakfast in bed – she would not have appreciated it. and then watch tennis all afternoon. While I also had a nap and then started prepping dinner for her. This was three large prawns sautéed in butter with grated ginger and garlic. When done, I added the Tequila and flambéed them. When the flame had died down, lime zest and juice were added. We did not sit at the table: I presented My Beloved with her plate as she sat comfortably in her lazyboy-style chair watching the end of the tennis. When we had savoured and relished the shrimp and the tennis had finished, I moved back to the kitchen and finished off the main course: Bacon-wrapped chicken stuffed with guacamole. In other words, tender chicken breast which had the heck malloted (newly coined word meaning the breast was smashed thin with a mallot) out of it, rolled up with creamy guacamole and wrapped in bacon that’s grilled until the bacon is nice and crispy! It was declared a success by the one who mattered – actually “matters” always, every day, every minute! Accompanying this were grilled asparagus and balsamic soy garlic roasted shrooms. While the asparagus was as one might expect – roasted – they were very thin. My options on buying them were limited: thin, or thin. However, the shrooms were a true success, delivering a sweet and deep flavour such as we had never had with any vegetable before. We will do those again. Soon! All of this was accompanied with my own Merlot. Several glasses. Dessert was very simple: vanilla ice cream and coconut chocolate ice cream. I bid you and Mother’s Day adieu!